Samsung have made several none-too-subtle suggestions that Galaxy S5 will be unveiled on February 24th in Barcelona at this year’s Mobile World Conference. The South Korean company has issued both press invites to the event, as well as tweets, with liberal use of the number “5”. The Galaxy S5 was the much-anticipated follow-up device to the Galaxy S4, which was announced at last year’s Unpacked event in New York. In an interview with Bloomberg in January, Executive VP of Samsung’s mobile business Lee Seung Woo stated that the Galaxy S5 would be launched before April this year, and alongside it, a new iteration of the Samsung Galaxy Gear. Samsung have managed to limit the number of leaks about the device but executives have hinted at a number of the new features. First and foremost, the design is said to be new and fresh – not just a minor update as from the upgrade to the S4 from the S3. “Mostly, it’s about the display and the feel of the cover” Lee said when he spoke with Bloomberg. The device has also been rumored to feature iris-reading technology – one-upping Apple’s fingerprint sensor on the iPhone 5S. Execs have admitted that the company is looking actively at the technology but there is no confirmation whether it will feature in the final model. The Samsung Galaxy S5 is rumoured to be shipping with a 1140p 2K display as well as a metal housing, rather than the plastic casing of the S4 although it’s possible that the company will launch two separate models. The premium device will likely be encased in metal and powered by Samsung’s 32-bit octa-core Exynos 5430 processor, with a 32-bit quad-core Snapdragon 800 and plastic casing on the standard model. 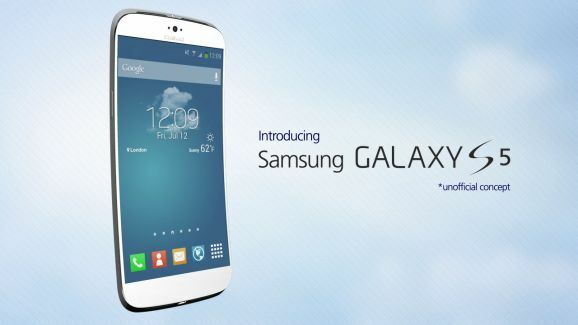 When is the Samsung Galaxy S5 Release Date? There’s no word on a retail Galaxy S5 release date yet but where we’re likely to know more following the announcement on February 24th. The best news is that you don’t need to be a member of the press in order to watch the announcement in real-time – Samsung will be live-streaming the event online. Everything kicks off at 1830 hrs local time. 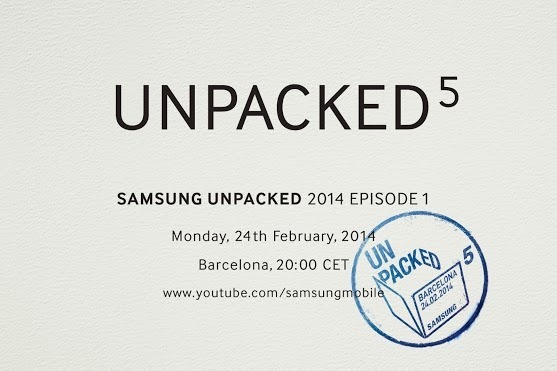 We’ll have more news on the Samsung Galaxy S5 as it unfolds on launch-day.